A specialist in the treatment of allergic diseases is called the allergist. The reason for going to it are allergic rhinitis and conjunctivitis, bronchial asthma, allergic dermatitis, respiratory Allergy and other types of allergic reactions. As a rule, this specialist is not in the district hospital, and to get an appointment at specialised centres only in the direction from the therapist. Most often to specialists going patients with diseases where local therapists can't cope on their own. Therefore, the first attempts of treatment of your illness will be undertaken by the General practitioner in the clinic by place of residence. And only when he will be convinced of their ineffectiveness, you will be offered a referral to an allergist. To write a referral, the physician should prepare an extract from the history of the disease. It should be described not only over your disease but also the therapy. Because of this, the allergist will be able to understand that in your case ineffective, but what else can I try. Also, the statements should reflect your current state and to evaluate its possible only with the help of analyses. 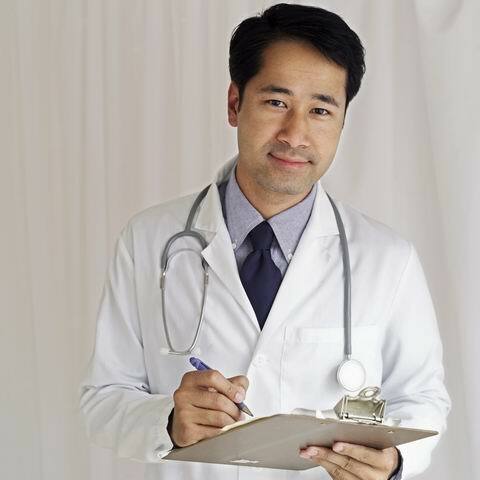 Get the therapist's direction on the General analyses of urine and blood. Perhaps the doctor will suggest you do some special tests (e.g. Allergy tests). But most often such studies are not performed in the district hospital, so you can make them paid or to reject their execution, waiting for appointments allergist.Give the minimum necessary tests and take the results to the attending physician. Make sure in the direction of the therapist contained all the necessary information about your health and available all the required signatures (the doctor and the head of therapy Department) and print. Call the reception Desk of the medical institution to which you referred. Find out how to receive allergist. Sometimes requires pre-registration, and sometimes it is enough to come to the medical center in the doctor's office hours. There is another, more simple but expensive way to get to the allergist. You can contact commercial facility and visit a doctor, paying for his advice. In this case, you don't need any directions. But you should gather feedback on the specialist of the institution to be sure that he really is qualified and will be able to help you.